I have GOT to stop looking at magazine photos and thinking I could make a popup out of it. My house is filling up with paper projects. This is very large: 8 x 8". I cut it out of heavy paper just to see if I could do it. Good thing it is a simple popup or it would never have folded. The file is huge so didn't want to post it but if anyone would like it I will gladly send it. I would be most interested to see what other folks have done with huge popups. Nice work! I can see you're getting addicted, that's OK, LOL! If the file is too large to post here, it's likely too large to email as well. Usually 15 MB limit is a good idea to stay within. The limitation may not be on your end but the receiving end, specially those that have limited monthly quotas. Better to put it into a DoprBox scenario. @yup, the making is the use for it. Because it helps you advance your skills. You can always join a FB group for people who make and sell things. Like "I Made It" or "Handmade Saturday". LOL! I just love this one - it's so homely. So cool. How large is the file? 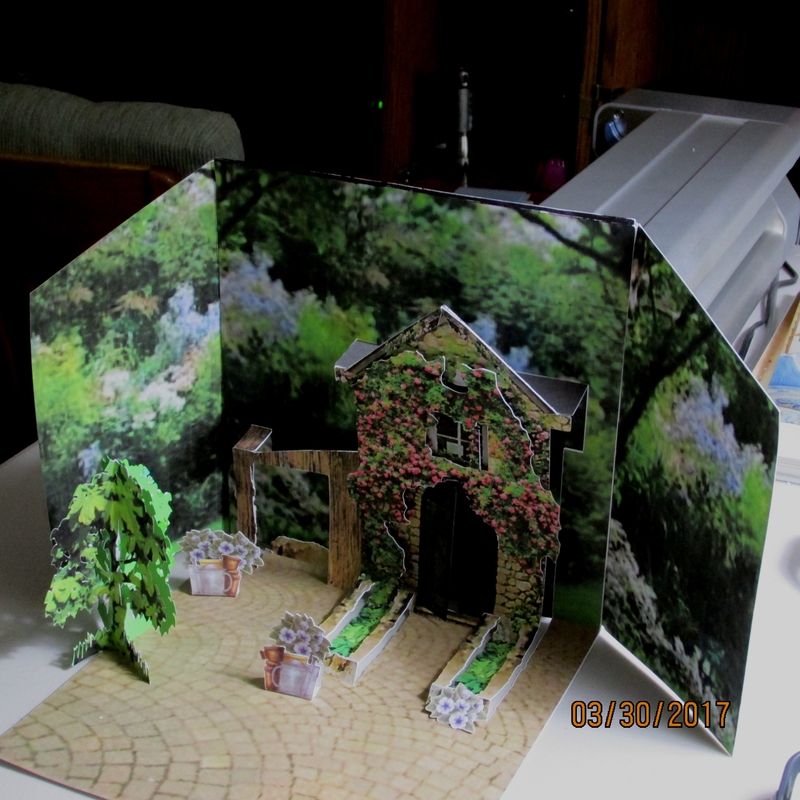 I am going to make some popup cards with ladies at the local senior center in May. Looking for ideas. @tvoss123 It is 180 KB. I expect because of all the textures. I'd be happy to send it to you if you like. That is not large at all unless you mean 180 MB. I would love to get the file. @Charo - 180 kb is like 18 inches - not much. 180 MB is like 180 thousand miles. Big difference. You will not be able to email a 180MB file at all. @Charo I am hoping it really is 180 KB cuz I would like to try to make it. I just sent the file to myself and there was no problem. So I don't know what the real size is: the 180 MB is what properties said but Chrome said it was 644 KB. Anyway please send me a private message giving me the email to send the file to and I will be happy to send it. @DAISY_2 Just to be clear I thought I should mention that I went on line to find the magazine, then copied and pasted the photo I was interested in to MTC. That way I get a better start to the project than attempting to scan a magazine photo in. This is great. Wonderful card. Great work! Would love to make something like that for my wife, someday. @Oberon19 I'd be glad to send you this file. I was able to send it through Google to another member. If you would like it send me a PM and we'll get it going.